Toro Irrigation products service the Residential, Commercial / Sportsfields, Golf and Agricultural markets. Throughout the Toro organisation, with our products, services, systems and operations, we are dedicated to preserving and protecting the environment. 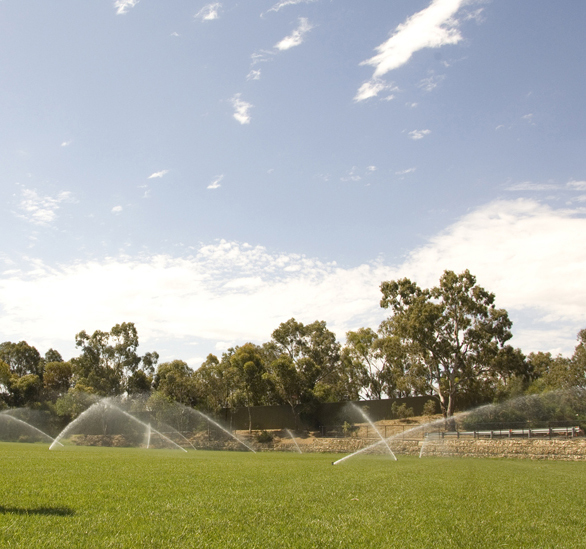 Toro recognises that water is a vital resource for all Australians. Our community depends on water reserves that are available, affordable and sustainable. Our commitment is to invest both our financial and human resources in products and services that promote and facilitate water conservation. Water management is central to what we do. To have a look at our entire range of irrigation products go to the product menu at the top of the page.